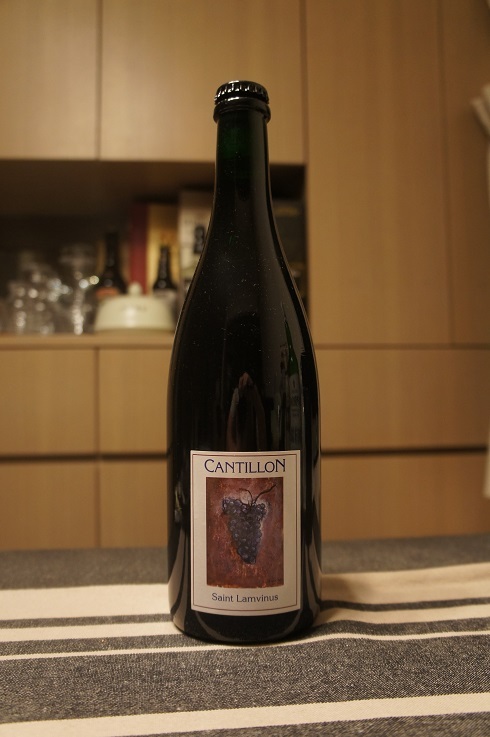 Brewer Description: (from bottle) Symbol of the union of two cultures, the Saint-Lamvinus is the result of a harmonious blending of merlot grapes and lambics that have macerate for long months in oak casks. Natural second fermentation in bottle. Beer with a taste evolution. Store and serve at cellar temperature 12-15°C/55-60°F. 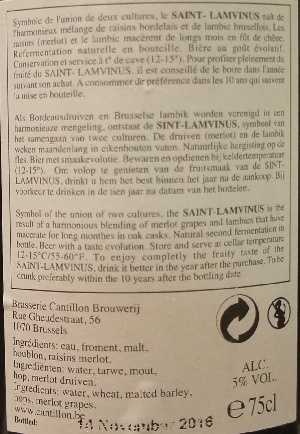 To enjoy completely the fruity taste of the Saint-Lamvinus, drink it better in the year after the purchase. To be drunk preferably within the 10 years after the bottling date. Intro: A 750ml bottle, bottled on 14th November 2016. Poured into a wine glass. Appearance: It was a very nice lightly cloudy ruby red colour with a two finger pinkish head that dissipated fairly quickly to a settled thin layer with only sparse lacing. Aroma: Lots of tart red berries, raspberry and strawberry plus grapes and lemon. Nice barrel and oak character with a hint of red wine vinegar and only light funk and barnyard-iness. 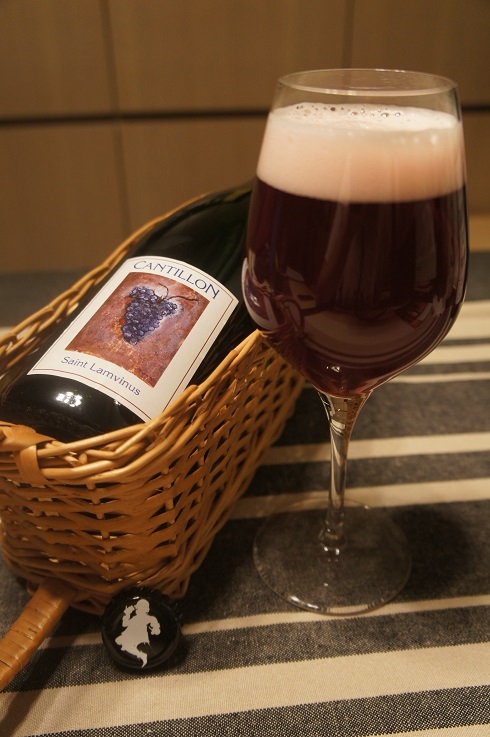 Taste: Moderate sourness, cherry, raspberry, strawberry, grape juice and oak with hints of grapefruit and funk. Mouthfeel: Dry, light to medium bodied with moderate to high carbonation. Overall: With less than a year since bottling, there was lots of really nice fruit flavours bursting out while the funk was quite light. Although this particular bottle was quite young, it also taste great with age. Can’t wait to try more of this wonderful goodness.